Burglars escaped with what is estimated to be tens of thousands of pounds of handbags and shoes after smashing their way into a designer brand’s factory shop. 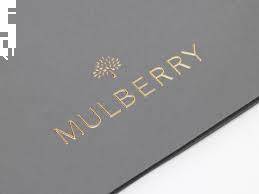 The burglary at the Mulberry outlet in Shepton Mallet, Somerset, is feared to have resulted in the loss of goods worth up to £100,000. The designer label, which is a favourite among celebrities such as model Cara Delevingne, sells bags for up to £7,500 and boots for more than £500. Whether you retail designer items or sell stock at high street prices, it’s important to make sure you have the right level of business insurance to cover the value of the contents of your premises. A specific shop insurance policy is also key to tailor your coverage to your needs. Ensure you are also covered for any damage to your premises caused as a result of crime. Thieves broke into the Shepton Mallet Mulberry shop by knocking down the door with what police believe was a sledgehammer. They took a “large quantity” of items from the luxury goods brand, which sells its products all over the world. Staff at the factory shop were carrying out a full stock check to find out just how much had been taken in the raid. Police were also looking at CCTV images taken at the shop in the Kilver Court Designer Village, which is on the outskirts of Shepton Mallet. It’s believed three men were involved in the burglary. A police spokesman told the Western Daily Press: "The men were wearing hooded tops, hats and gloves and drove off from the scene in what we believe is a dark coloured estate car." Detectives are appealing for anyone in the area to get in touch, especially if they saw the suspects’ getaway vehicle and the direction it drove away.